Trailblazer, night owl and world-renowned artist. 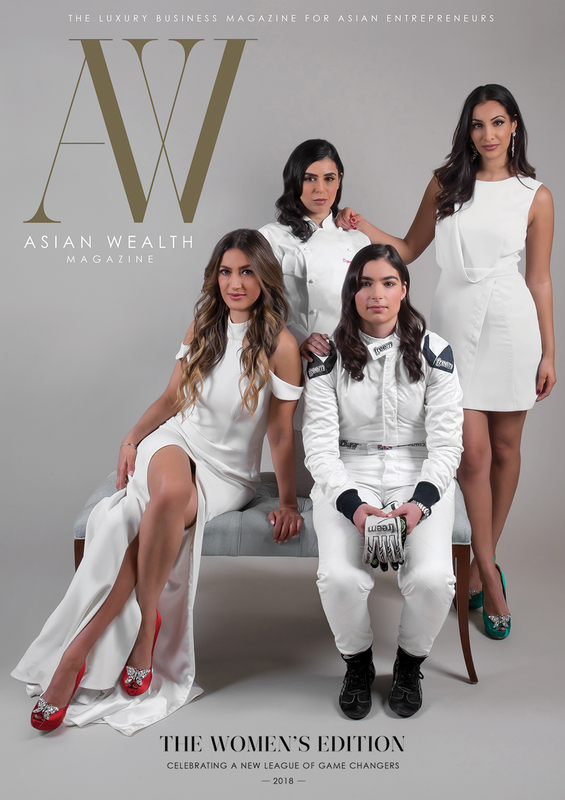 AWM meets the man of the moment, Amandeep Singh. Fans including Drake, Madhuri Dixit, Jennifer Lopez, P Diddy, Dynamo, J Cole, Missy Elliot, LL Cool J and Jay Sean, sell- out exhibitions, and an appearance on Blue Peter, not bad for a boy from Chigwell who’s reached heights few of us can only dream of before the age of 30. 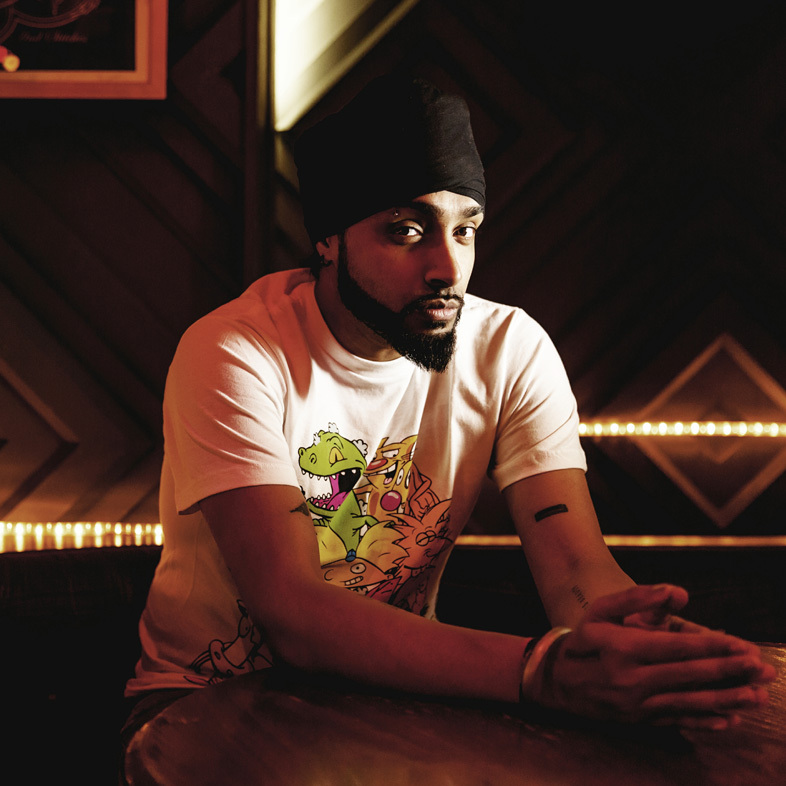 This is the world of Inkquisitive, AKA Amandeep Singh. of before the age of 30. 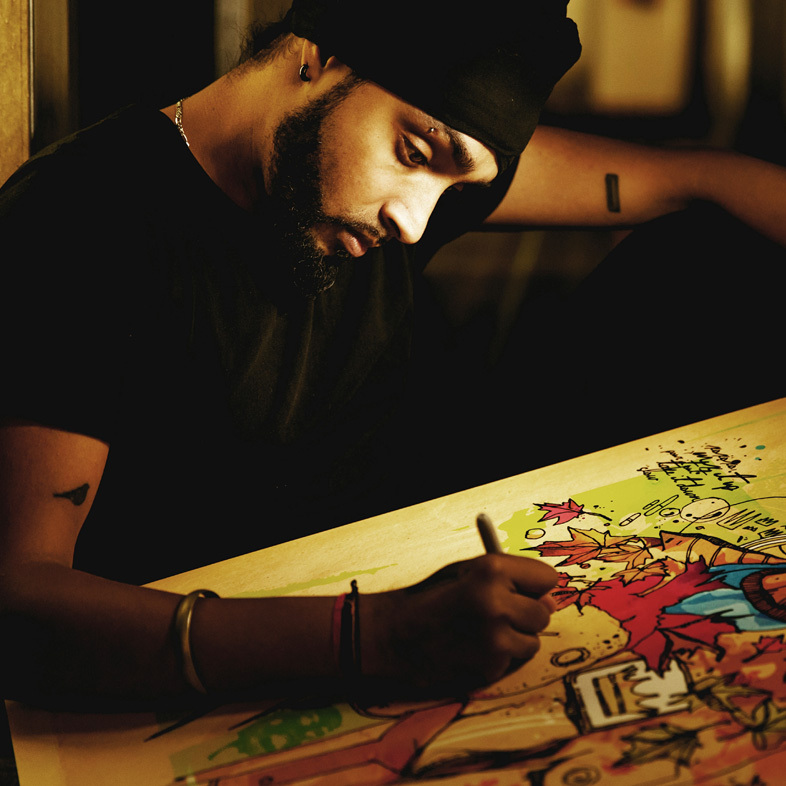 This is the world of Inkquisitive, AKA Amandeep Singh. His work is distinctive. Vibrant, brightly coloured ink sketches splattered across sugar paper, sizzling to life. Each work tells its own story and is layered with detail. He’s probably best known for his celebrity portraits and his religious works (more on that later), which have gained him legions of fans worldwide. 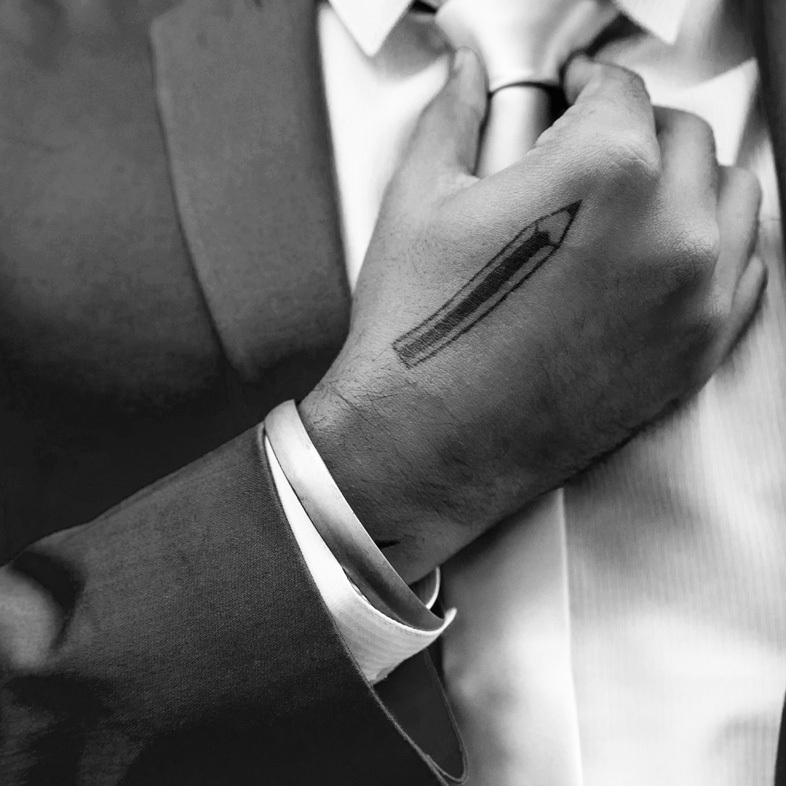 So who is the man behind the brand? Well, he’s certainly not your typical artist. He’s no tortured soul, wrestling with his ego and the world around him in pursuit of the meaning of life. He’s polite, unassuming, self-assured, from a solid background, and clearly someone who is really passionate about what he does. And the best bit is he wants to share it with everyone. There’s no diva strops or getting overly precious about his art. He knows he’s good, his 148,000 Instagram fans and 124,000 Facebook followers attest to that, and he’s not a sellout either. 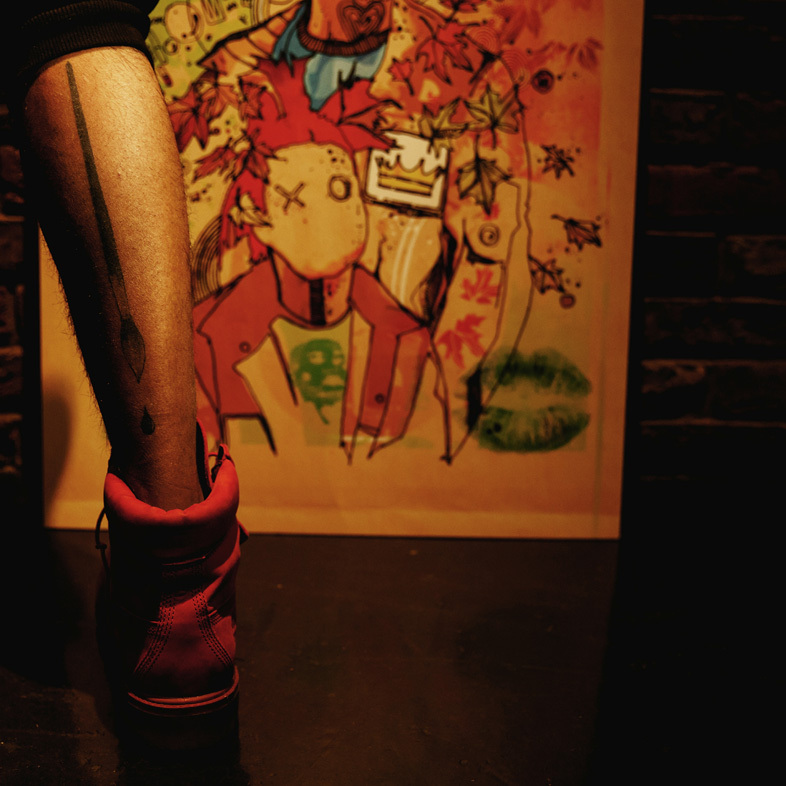 He’s aware of the power of the Inkquisitive brand and the value it holds. “I’ve sold less than 4% of my original canvases because I find it hard to let go of them; they’re my life’s work, my babies,” he says. However, far from being disappointed that he didn’t take up a ‘proper’ profession, like medicine, law or business, his parents have been supportive of his career. “When I told my parents I wanted to study graphic design and illustration at the University of Hertfordshire they were a bit unsure but were aware it was something I was passionate about. Things started to heat up thanks to two fortuitous events. 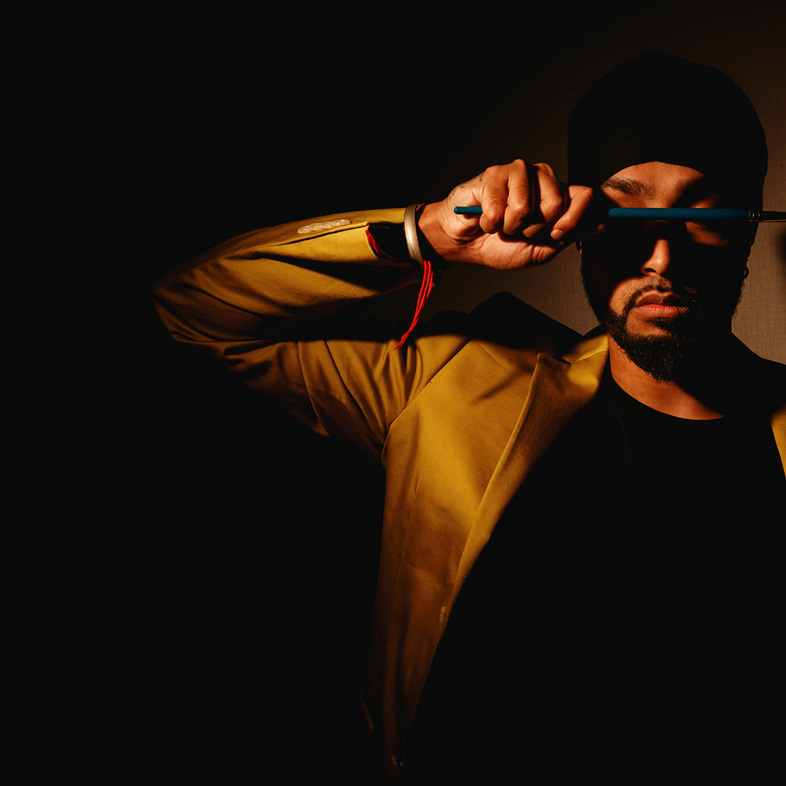 Firstly, UK-based Bhangra band Tigerstyle got in touch and asked if he’d like to appear in one of their videos creating an illustration. “I fanboyed because they’re huge in my community. The other life-changing moment was when the family of movie and martial art legend Bruce Lee endorsed his work. “Shannon Lee emailed to see if she could share a piece I’d done of her father, and I said she could have it! We bounced emails back and forward and it now hangs in the Bruce Lee studios.” he says. 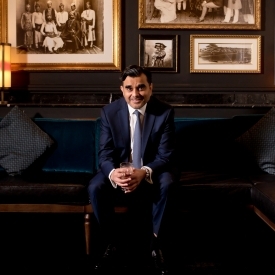 In fact, social media has been a great platform for Amandeep – a place where he can share new work and connect with influential people. In a world where many artists struggle to make a living, he understands the power and importance of using social media to build his brand profile. 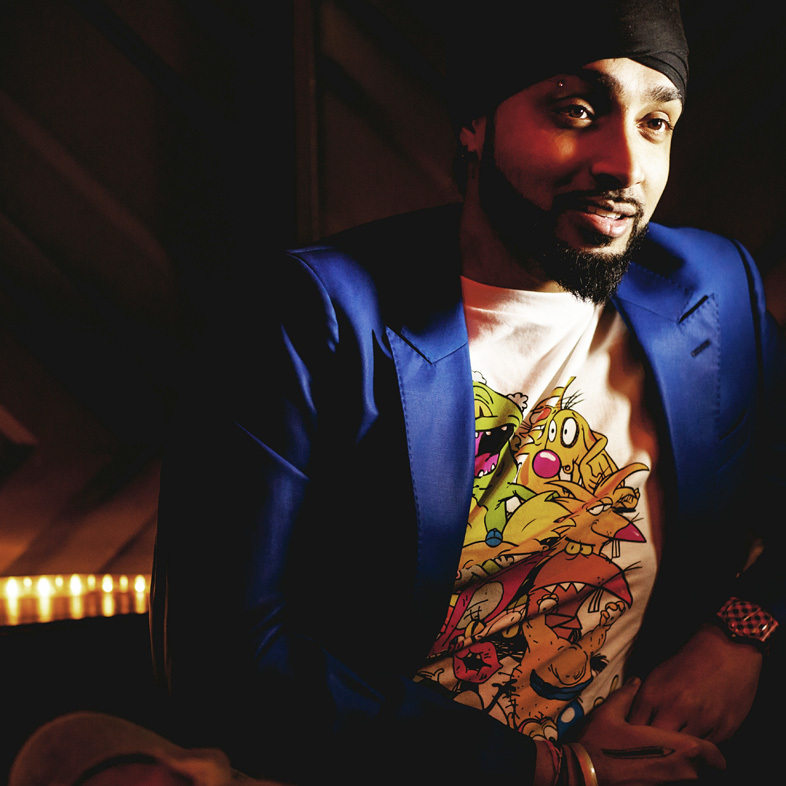 Inkquisitive’s success has been stratospheric. In five short years he’s gone from being a bedroom artist to a worldwide success story. He has a global fan base that’s taken him on tour to Canada, the US, Kenya and Australia, plus a sell-out exhibition in London. This year he has other exciting tours in production, as well as a number of high profile commissions. “Travelling is a beautiful thing. There’s only so much you can keep sharing your work until you need to get out there and meet people. I tour and do exhibitions because it’s nice to have people view my work in the flesh,” he says. 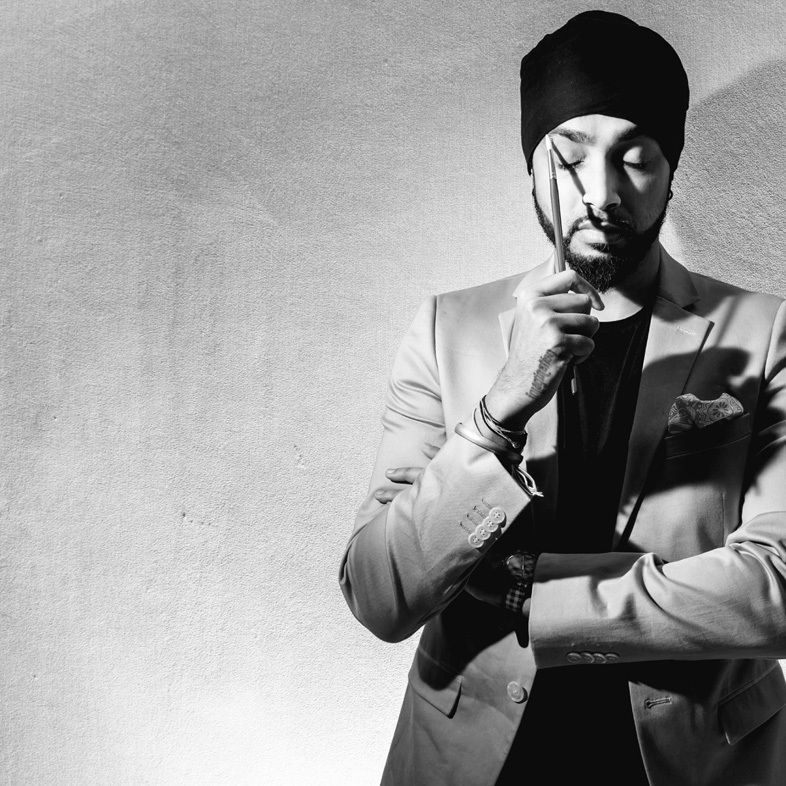 As well as exhibiting his pieces, Amandeep also takes the time to tour universities and schools inspiring the next generation of artists with his craft. 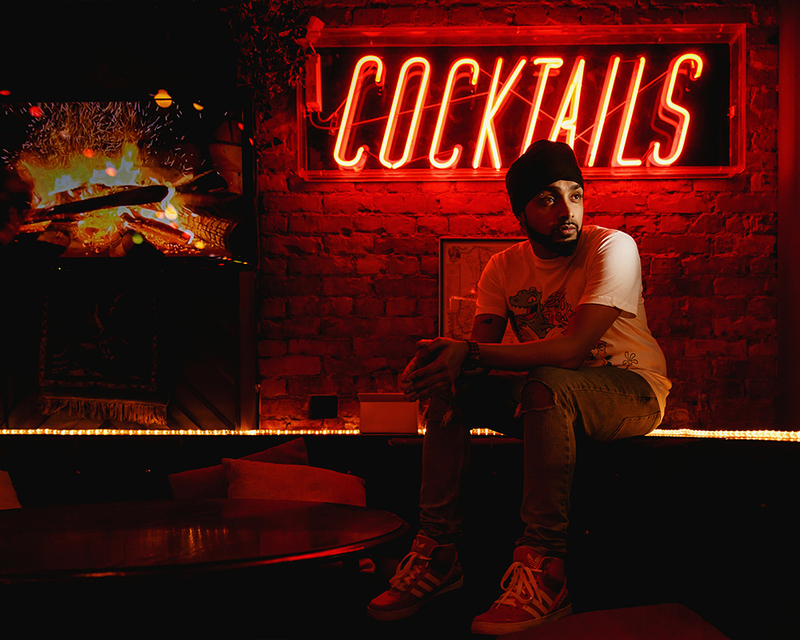 “Having a finished product is cool but for me it’s all about enjoying the process – interacting with an audience is just as beautiful as anything else,” he says. 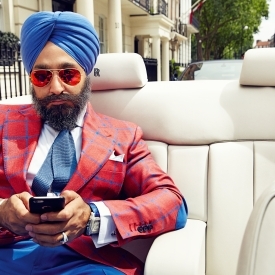 What’s striking about Amandeep is his discipline and drive. “I set myself a goal this year of doing three new illustrations a week and I’m doing it. Even if it means not going to bed. I have to be consistent,” he explains. 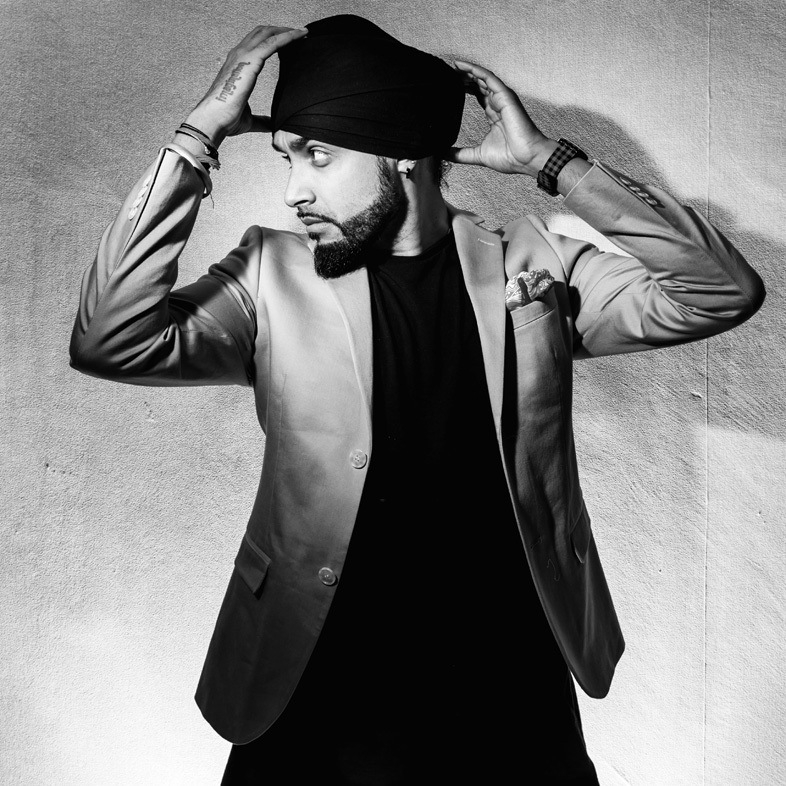 Amandeep is also greatly inspired by his Sikh upbringing and his religion influences his work. He says: “Sikhs are descendants of warriors and storytellers. We have a rich culture and heritage and it’s so inspiring. It’d be a crime if I didn’t use some of that treasure in my art. As a kid I was always influenced by the pictures of the gurus in my temple and the stories my dad would tell me about them. The first works in my career were Sikh artworks inspired by the very traditional images of the gurus that I’d grown up with. I tried tackling them in a different way and try something different. At the time, even my mum was like, ‘Are you sure you want to do his?’ But I had a vision and I decided to put it to paper. 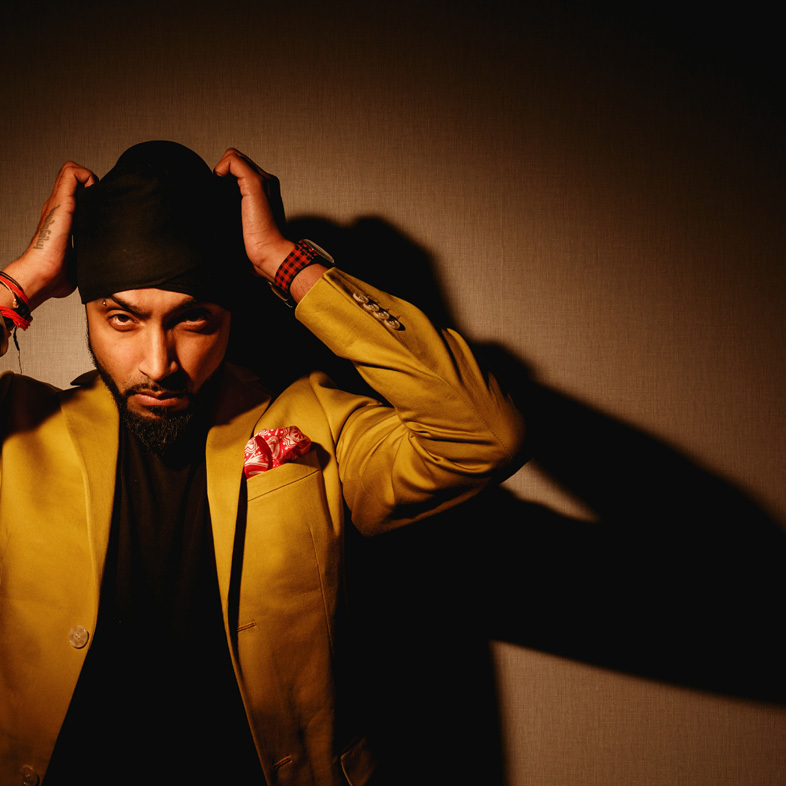 When not inspiring youngsters and jetting off around the world, Amandeep keeps his feet firmly on the ground at home, where he produces most of his work.at home, where he produces most of his work. 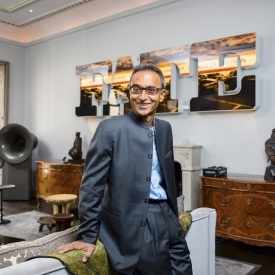 Far from having a trendy Shoreditch studio, however, he prefers to paint in his bedroom. “My process is simple. I work best at night with my favourite playlist on. Maybe it’s because everyone else is asleep at night and the best ideas are there to pick… I don’t know. I’m very spontaneous – I have charcoals, acrylics, Indian inks, chalk, calligraphic pens… I never know what I’m going to use until I sit down and do it.